Thank you so much for visiting us here at We Heart Yarn and Chez NK! We have so enjoyed your company and appreciate your taking the time to visit us and leave your wonderful comments! 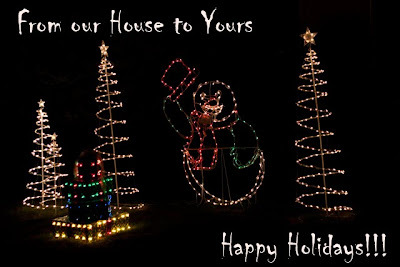 We hope your holiday season will be light and bright, and filled with the love and laughter of family and friends! Merry Christmas to you and your family and thank you for the whole year of sharing yur wonderful blog with me. A fresh way to express your love ones a Merry Christmas and a happy new year..
love your postcard, thank you!